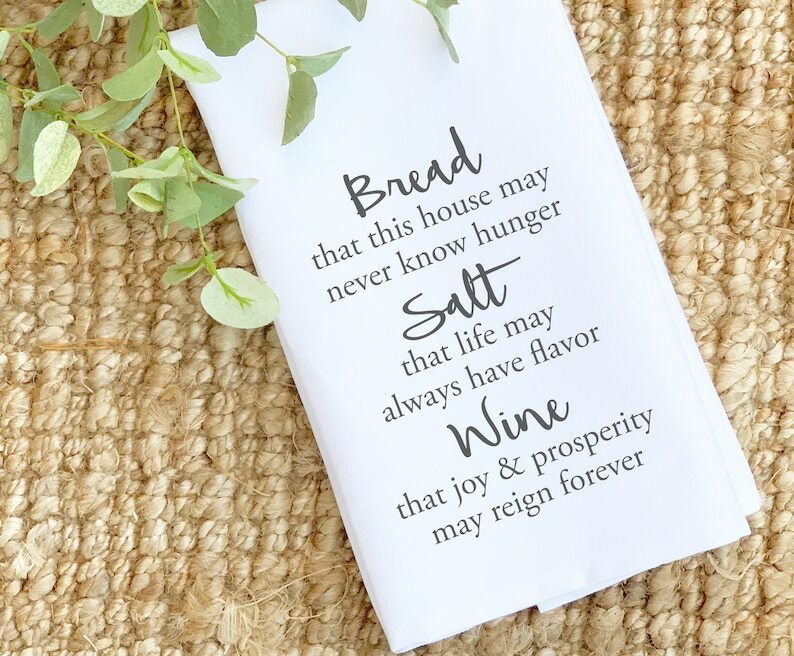 Bread, Salt, Wine Happy Home quote 100% cotton tea towel. 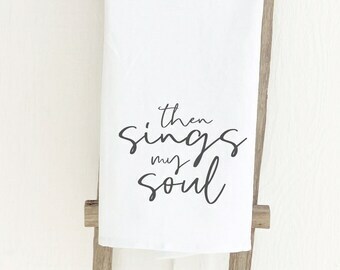 Genuine flour sack towel has a farmhouse style and will match many kitchen decor styles. 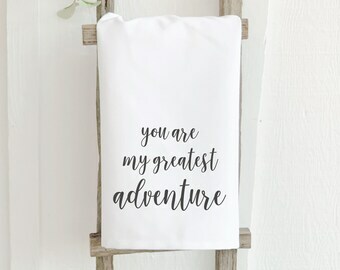 Machine washable and dryable, these towels don't just look great wherever they hang, they're super absorbent and functional!